It's nice to have money in savings bonds, but the physical bonds themselves aren't always going to last as long as the funds they represent. The good news is the federal government can often help out, even if you don't have the serial numbers. The Treasury Direct website is the place to start the process of redeeming or reissuing destroyed bonds. Click the "Forms" link at the top of the Treasury Direct home page. 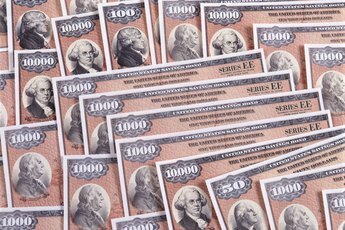 Click "Savings Bond Forms" and scroll down to form 1048E, "Claim for Lost, Stolen or Destroyed United States Savings Bonds." Click the form to download it. Enter the issue date for each bond, or the closest possible date range. Enter the face amounts and the bond numbers, if you have them. Add the Social Security number of the buyer. Select the "Destroyed" option in the "Details of Loss" section. Fill in answers to the questions on the form such as, "When was the loss discovered?" and "Where were the bonds last placed?" If you have any pieces of the destroyed bonds, send them to the Department of the Treasury along with the form. Place check marks in the appropriate boxes in the "Authority" section to tell the Treasury Direct if your name is on the bonds or if you have a court appointment as a legal representative. Place a check mark in the appropriate box in the "Relief" section to have the bonds reissued or to redeem them. Add your mailing address for a check, or your banking information for a direct deposit. Sign and date the claim in front of a certifying bank officer. Mail the claim to the Department of the Treasury, Bureau of the Public Debt. For HH and H bonds, address the envelope to P.O. Box 2186, Parkersburg, WV 26106-2186. For EE, E and I bonds, send it to P.O. Box 7012, Parkersburg, WV 26106-7012. When Can I Cash Savings Bonds Without Paying Interest? 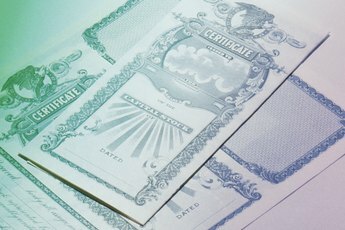 What Is an F-Series Bond? How Long Does It Take to Cash In a Patriot Bond? Can I Change Names on EE Bonds?